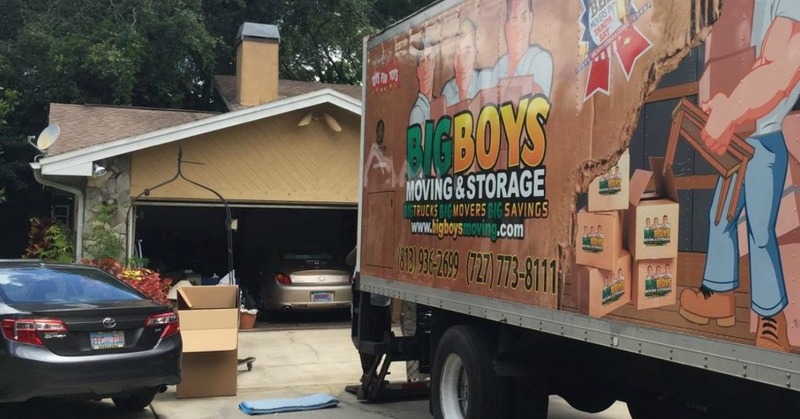 As the top rated Tampa storage and moving company, we here at Big Boys Moving and Storage have plenty of experience with helping families to move from one home to another. We also happen to have a lot of experience in families leaving things behind and forgetting things that need to be done before their moving day! That’s why today we’re sharing a list of the top ten things that homeowners often forget when they’re moving house! Top Tampa Storage and Moving Company Shares 10 Things Movers Often Forget! When moving day arrives you will find yourself with more than enough to get done and tending to your pets and children will only slow things down for you. Not to mention that it’s dangerous to have children and pets running around on moving day! There’s a chance they could get lost, trip over boxes, trip movers or yourself while you’re carrying boxes, leave the house without being noticed… That’s why it’s always best to have someone watch your pets and children when moving day rolls around. Have a babysitter or family member take your children and consider having a friend look after your pets, using boarding services or doggy daycare to keep your pets safe! Depending on how much you have to move and how long you suspect that move will take, you may want to consider booking a hotel on the night of the move. This will give you and your family a chance to unwind, take a hot bath, order room service, and sleep in a clean made bed without having to unpack and get your new house in order first! 3. Take Your Library Books Back! It might sound trivial, but if you’re moving a long way from your old home make sure that you remember to take back your library books! We know that not everyone uses the library these days, but if you do, make sure you get those books back on the shelves before you leave! Those oddly placed cupboards over the oven, over the fridge, in the upstairs hallway…they’re all cupboards that we stuff things in and tend to forget about. We have seen more homeowners leave these cupboards packed full of things than we can count! Because we don’t use these cupboards often, it’s easy to forget, but if you have to, write it on a “to do” list so that you don’t leave anything behind! 5. Leave Behind the Garage Door Opener! If your old home has a garage, make sure that you leave behind the garage door opener for the next family moving into your home! Many families turn up at their new homes only to realize that they still have that garage opener clipped to the visor in their car! That results in having to make a trip back to your old home to drop it off or having to mail it back, so save yourself the trouble. If you’re moving some way away from your old home, make sure that you cancel any memberships that you have locally. Things like gym memberships, health service subscriptions, often get forgotten. Some may allow you to cancel them via phone, but others may require that you go in person to cancel your membership so make sure you do this in advance. When we are used to the decor in our homes we often forget that lamps and lights are not always permanent fixtures! A lot of our clients find that they get to their new home only to realize they have left every lamp they own behind! 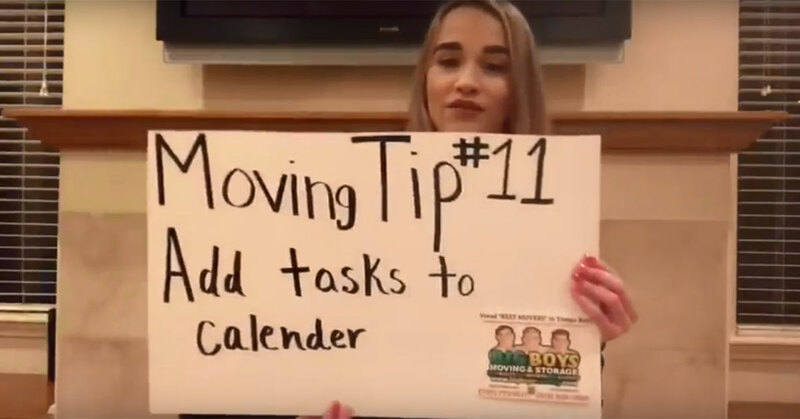 Write yourself a reminder to pack up those small household items that you’re most likely to forget and on moving day once all of your boxes have been loaded in the truck, do a walk through of the home to double check that you got everything. If you are the “good neighbor” who is always lending things to your neighbors, make sure that you collect anything you want back before you move! Things from snow blowers to beach chairs go back and forth between neighbors all the time, just make sure that you have the important things back in your possession before you move. While you’re at it, make sure that you remember to give your neighbors back everything that you have borrowed from them too! When a home has a basement homeowners seldom forget to check it and pack it up before moving. The same is not true of homes with an attic. Because the attic is a room of the house that is often inaccessible and seldom used on a regular basis, many movers forget to clear it out before they move. Don’t make this mistake especially since many homeowners keep their boxes of memories and family “treasures” in boxes in the attic. You don’t want to leave these things behind. If you use dry cleaners or laundry services make sure that you have picked up everything you have there before the move. We find that people fall into one of two categories – they either ALWAYS pick up things on time from the dry cleaners or they have a habit of forgetting things until they realize they have gone missing. If you fall into the latter category you definitely want to write yourself a note so you don’t forget to call by before moving day! Ready to Hire the Best Tampa Storage and Moving Company? Ready to hire a Tampa storage and moving company who have the experience needed to make your move go off without a hitch? Pick up the phone and give us a call here at Big Boys Moving and Storage! Just dial 813-936-2699!